Search engine optimization (SEO) is a process designed to help search robots understand and process your website content. 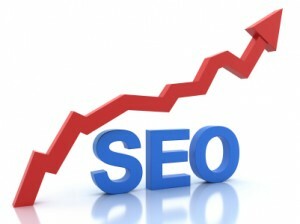 Generally the main aim of an On-Page SEO project is to obtain the highest organic ranking for relevent searches. Off Page SEO uses other online media (free and paid) and custom content to gather additional and possibly higher relevant organic positions. When you are looking for results from an SEO project you should be thinking in terms or trends over time as opposed to an immediate results. These cost of generating these upward trends will more than pay for itself overtime in reduced adwords and lead generation costs. On the other hand if you are looking for immediate results then you need to be looking at Pay Per Click advertising. If you want new customers or searchers to find you online for searches other than your domain name, for example: by services you provide in your market, by products you sell in your market. If you want to appear in prominent positions on Organic search results for relevant searches related to your products or services then you need to make sure your website code and content is optimized for the relevant keywords and phrases. It is always good to know and in a competitive market situation keep abreast of your competitors online profile. It by no means should be your sole focus but it definitely should be one of your focus segments. Grobyo as part of a comprehensive keyword review will provide an online profile of your primary competitors for discussion and review to help shape your SEO strategy going forward. If you have an online marketing or SEO project that you would like reviewed or would like to discuss in more detail, please contact us and we can review the project and discuss options. If your business is locally or regionally based and intends to stay that way then your website content should reflect that. Keywords and Phrases should include geographic or regional modifiers, you are not trying to compete nationally you are trying to compete regionally. Grobyo is an Online Marketing Agency based in San Jose, we provide Online Marketing and Online Advertising Assistance to customers nationwide. If you have an Online Marketing Project or a Search Engine Optimization (SEO) project that you would like to discuss, please contact us and we will be glad to assist.